Some of Manhattan’s most famous resident ghosts will once again be visited by three well-known literary spirits this holiday season. 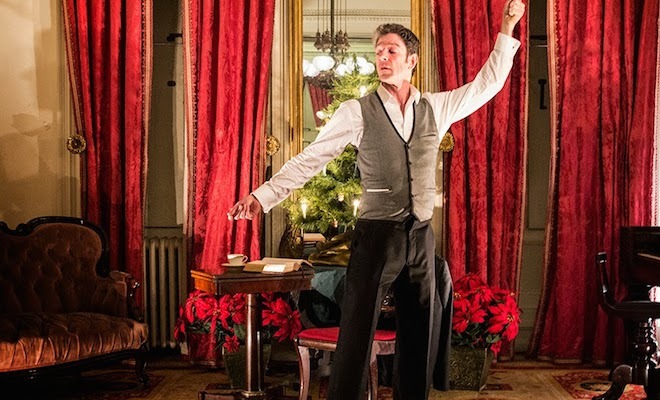 Summoners Ensemble Theatre returns to the Merchant’s House Museum with A Christmas Carol at the Merchant’s House. Decked with period decorations of the season, the elegant and intact Greek Revival double parlor of the landmark 1832 Merchant’s House Museum (29 East 4th Street, Manhattan) provides the perfect setting for this work of captivating storytelling. Based on Dickens’ own performance text, crafted for the stage by John Kevin Jones and Rhonda Dodd, the show highlights the story’s stunning narrative imagery and wry humor. Hailed as “Manhattan’s most haunted house,” by The New York Times, A Christmas Carol’s ghosts could call no better place home. ← Previous Story “INDIAN INK” OPENS TONIGHT!